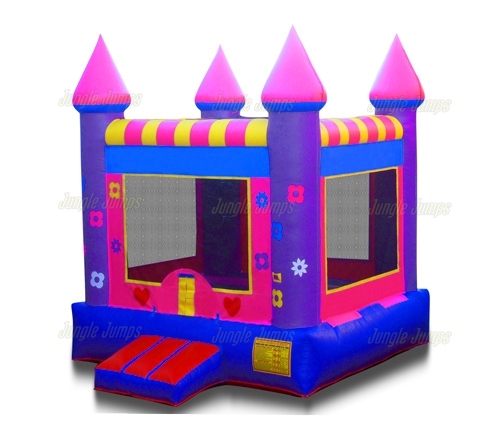 Home / Princess Bouncy Castle. 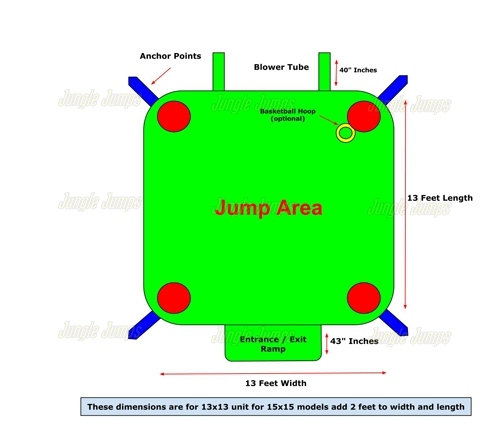 A young lady’s dream awaits in this commercial grade bounce house. 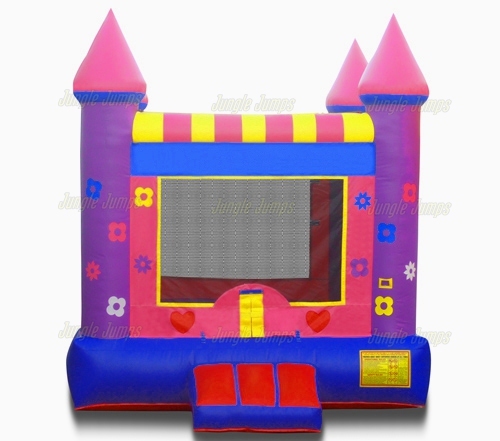 It’s perfect for birthday parties, indoor, outdoor gatherings, or special events where children are expected to attend. 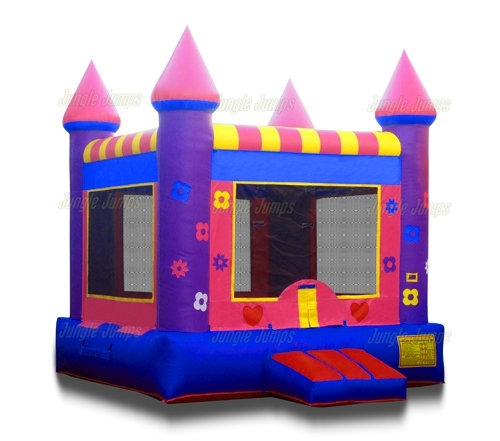 This castle bouncer is adorned with turreted corners and luscious vinyl colors, giving the inflatable jumper a fantasy appeal. A generous interior play area is framed by mesh-screened windows, and an inflated ramp makes it easy for little ones to enter and exit smoothly.